India has become one of the global leaders in technology. With their new wealth, many of these young people are asking questions about life’s purpose and meaning. The concept for centers of influence comes from Ellen White, who had a vision to “establish in all our cities small plants which shall be centers of influence” (Testimonies for the Church, vol. 7, p. 115). She envisaged centers including such things as lifestyle education, treatment rooms, bookstores/reading rooms, restaurants, literature ministry, lectures, and instruction on preparing wholesome foods. These wholistic ministry centers connect the church with the needs of urban communities, follow Christ’s method of ministry in sharing God’s love, and provide a springboard for starting new groups of believers. Walking through Connaught Place in the metropolis of New Delhi, India, I found myself surrounded by hundreds of thousands of young people in one of the busiest shopping areas of one of the largest cities in the world. It was an amazing experience! India has become one of the global leaders in technology, and Connaught is a commercial paradise for upwardly mobile Indians. With their new wealth, many of these young people are asking questions about life’s purpose and meaning. What an opportunity for our church! But we also face challenges with this burgeoning middle class. How will we share Jesus with these well-heeled young people? Are we prepared to provide a caring witness in India’s large cities? Do we have the resources to establish centers of influence and Global Mission pioneers where they are needed most? And what about the millions of people who haven’t had an opportunity to improve their lives, who fight poverty and hunger every day, and have never met Jesus? Already impressive, our mission challenge will only increase with India’s expected population growth. Demographers have predicted that within the next 15 years, India will pass China as the most populous nation in the world. Barring any major changes, its population will reach 1.45 billion people, making it the largest country in history. Even now you can walk in parts of India for days and never meet a Seventh-day Adventist. You wouldn’t even be likely to find someone who has heard of them! 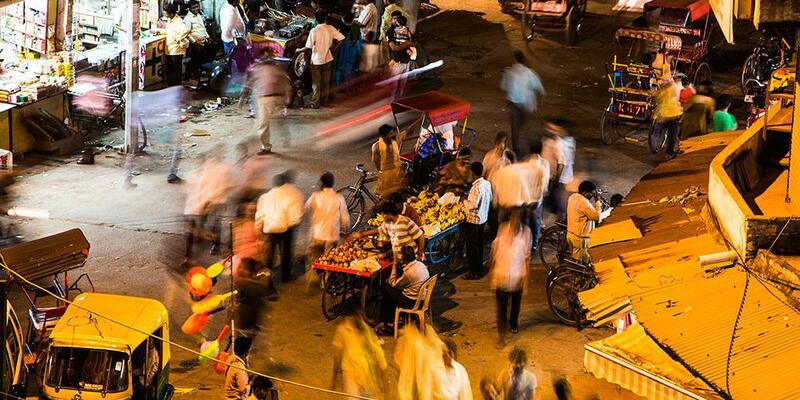 There are 56 cities with more than 1 million people in India. These vast cities demand our attention! The church is called to be a beacon of hope to those who have been left out of the technological and economic boom and to those who have been disillusioned by it. Mission to the Cities is our church’s initiative to reach out to the large cities of the world. A vital part of that initiative is establishing centers of influence, wholistic ministry centers that put Christ’s method of ministry into practice. Once people become interested in knowing Jesus, Global Mission pioneers are placed in those communities to give Bible studies and start church plants. Your donations help support these centers of influence and the Global Mission pioneers who partner with them in ministry. Today, millions in India are waiting for someone to tell them about Jesus. Thanks to your support, more and more people will come to know Him each day.